The farm is bustling with the beginning of another season. The hills around Capay are still green. The warm week coupled with the wind has left parts of the hills, mainly the ridges, a bit brown. It will not be long until the inverse is true and there are only a few patches of green grass holding on, which will be in the bottoms of gullies and on the shady side of knolls and trees. In our fields, asparagus is popping out of the ground as fast as we can cut it, but there still isn’t enough of it. Summer vegetable fields are getting planted as fast as we can. There are already three tomato fields, the earliest of which has stakes installed and will be ready for its first string. It will not be long until those tomatoes have climbed up the stakes and are six feet tall. On the other end of the farm, peppers, eggplant, squash and melons have been transplanted into the ground. Their little roots have settled in, and soon we will see the first new green leaves from them. The wildlife on the farm seems happy with spring. The resident flock of wild turkeys can be seen in small groups here and there. In general, there are a couple of male turkeys, puffed up with their beautifully colored feathers shimmering in the sun as they strut to and fro trying to get the attention of the females who appear to not care one bit about their presence! The resident coyote has been out and photogenic. He is doing his best to keep the rodent population in check. There are photos of him on my Instagram (@farmerthaddeus) and more photos of the farm on the Farm Fresh To You (@farmfreshtoyou). The citrus trees have finished their blossoming. Between the faded white flowers that are browning and falling to the ground are little oranges about the size of a BB. They will quickly double and triple their size to end up as big as marbles by the end of May. The June Drop will happen and for some reason that I don’t understand, the entire orchard will make the same decision regarding how many of those little green marbles it will be willing to keep latched onto the tree and turn into mature oranges over the course of the summer. What’s Up With Farm Water? California is a beautiful state. 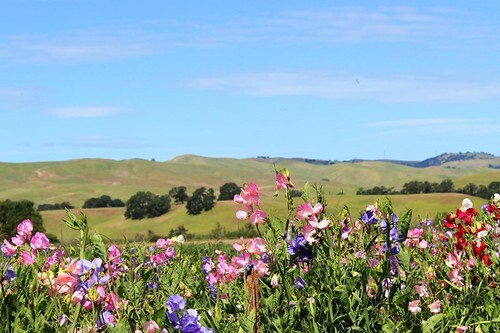 In the south, its days are forever sunny, moving north we find the south end of the Central Valley that is blessed with a near year-round growing season. 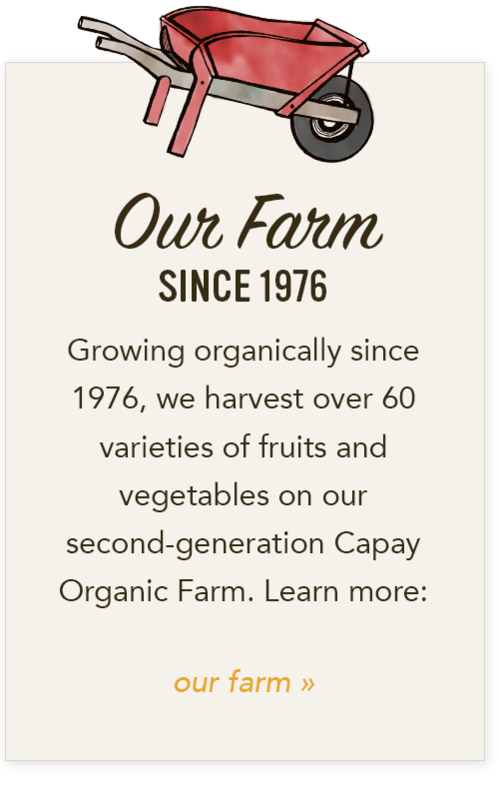 As we reach the beginning of Northern California, the Salinas Valley, we find temperate weather that is ideal for growing vegetables for only nine months of the year. 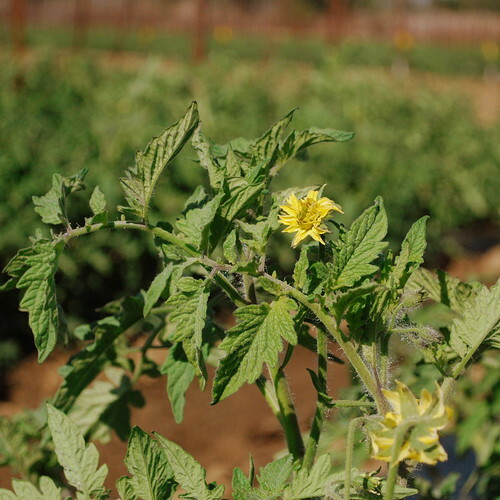 Near Sacramento, the summer days are explosive and perfect for hot-weather, summer crops, and it doesn’t cool off enough for vegetables until fall and then it is too cold for many things through the winter. North of Sacramento exists a mighty chunk of our state, filled with mountains and natural resources, but shy of any significant population. These places are connected by many things including a water system that captures snow melt in the north and delivers it down the Sacramento River to the delta where man-made canals pump rivers that run uphill to deliver water to farms cities. The reality of the water situation for farms is completely dependent upon wherein the state they exist. I have the pleasure to run our farm and work with our partner farms throughout the state and the topic of water always comes up. The main source of water for farms south of Sacramento is delivered through the California Aqueduct. The supply for this source of water is the snow capture in Northern California. When that snow melts, it’s stored in reservoirs and then moved to farms. Farms that are dependent on this water are in big trouble. Our farm is not dependent upon this water. In addition to this water source, there are a series of local water projects throughout the state. Our farm in Yolo County uses rain water that is captured in Clear Lake. Last year, the canal was dry, but this year, we received enough water that our canal will be open. Our partner farm in the desert (southeast corner of California) gets their water from the Colorado River; they too have enough water. After surface water options, we look at groundwater. In general, the more sunny days the area has, the less available groundwater there is. 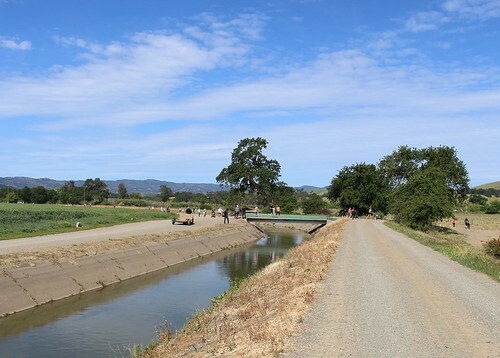 Farms from Salinas north, generally have a healthy availability of groundwater to draw from, however with a lack of other water sources the groundwater gets hit pretty hard. Farms in the southern part of the state generally don’t have the same groundwater options. Our farm in Fillmore has a well, but the water is very deep down and saltier that what is ideal. The spot in the state that has been hit the hardest is the west side of the Central Valley, an area that had no agriculture until the State Water Project ran water to it and now that water is gone. They are really hurting. Groundwater in this area is hard to find, and the wells needed to get it are really deep and often the water is so salty it is of little value to crops. Our farm and partner farms are doing okay for water, but we have all had to sit some acres out and adjust our crop selections. The nightmare for us will be if one of our groundwater wells goes dry this summer. Our focus will be using the water we have efficiently, which means matching water application rates to the rate at which crops will be using the water and focusing on really efficient application method which are drip irrigation methods, eliminating any leaks in the system and applying a thin layer of plastic mulch when possible to eliminate evaporation. Spring is arguably one of the most bright and colorful seasons on the farm. From the fragrant Satsuma blossoms to the wild purple bull thistle, we can’t help but feel a little inspired. Today, we wanted to share a bright and colorful recipe from Holly that is simple but impressive. Need to add a splash of color to your next dinner party? 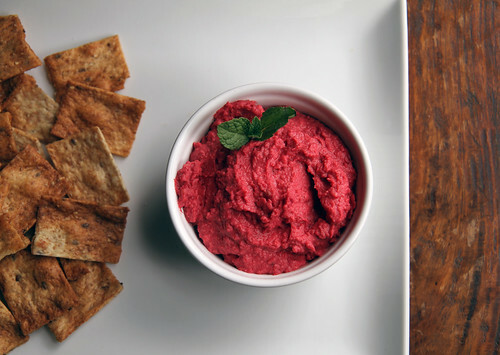 This delicious earthy dip is the perfect appetizer to add to the table while waiting for the main course to arrive. 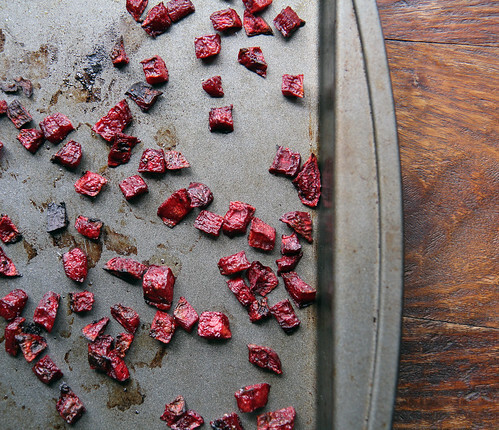 In a small mixing bowl, combine the beets with a pinch of salt and pepper and a small dose of extra virgin olive oil. Stir to combine and place on a baking sheet, roast for 30 minutes, flipping the beets one time halfway through cooking. After roasted, set aside until cooled to room temperature. 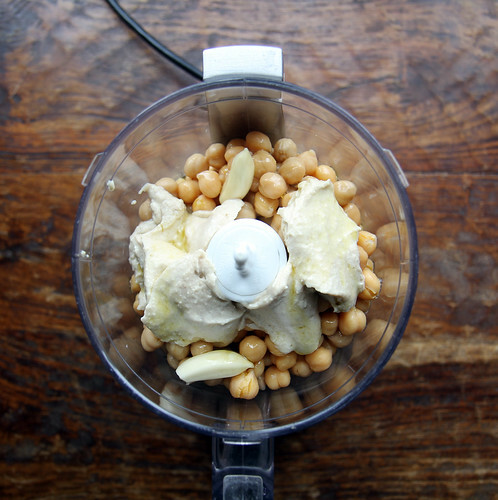 In a food processor, blend together the chickpeas, beets, tahini, olive oil, garlic, and lemon juice. Continue to blend until smooth. If the mixture is too dense, add water 1 tablespoon at a time and blend until the hummus reaches the desired consistency. Season with salt and pepper to taste and top with a sprinkle of Feta cheese and mint leaves, enjoy! It is beautiful tomato-growing weather on the farm. The days are hitting the low 80s, and the nights are well above freezing and cool, enough to let the plants have a good rest each night. While I still want more rain, the dry weather made the spring tractor work required to prepare the fields easy work that happened on schedule. 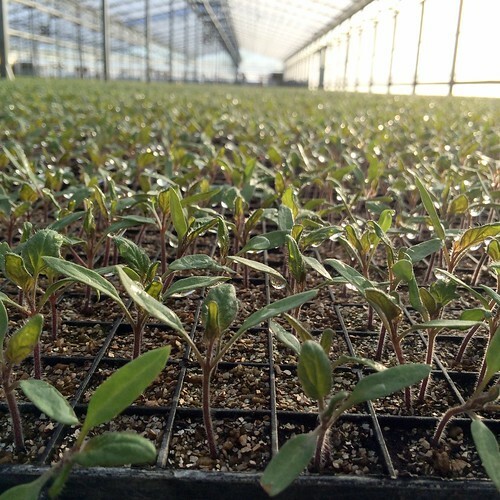 While the little tomato plants grew in the greenhouse under protection from the elements, the fields were being prepared for those little plants. The cover crop which thrived over the winter, was chopped up and tilled back into the earth. The soil was disked, leveled and pulled up into beds. Pre-plant fertilizer was installed, and it was incorporated into beds. The neat beds each received on row of drip tape and a thin layer of black plastic that will keep the weeds down and warm the soil up just a touch. With the beds prepared, the drip system was turned on, wetting the soil in preparation for the little transplants. The crew walked through the field, punching holes in the plastic every 16 inches (there is a great video of this on my Instagram @farmerthaddeus), and finally the field was ready. The following day the plants arrived from the greenhouse. One plant at a time, they were pulled from their plastic cells in the greenhouse trays and tucked into their place in the field. First their little roots will settle into their new home, and then the tops will begin to grow. It will not be long until stakes and string are put into the field for the vines to climb up. Then little yellow flowers will emerge from the green foliage, fruit will be set, and they will grow with the summer heat and finally, tomatoes will be harvested. Enjoy the spring and its crops knowing that summer is already in the ground and remember to follow us on Instagram (farmfreshtoyou). 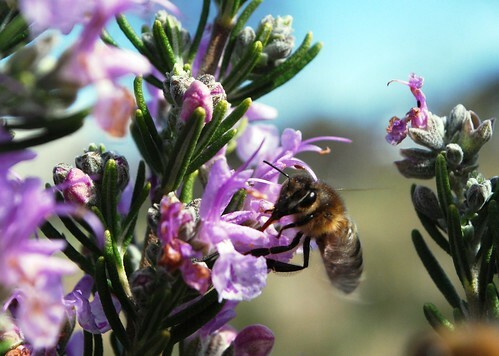 We receive a lot of questions about what makes raw honey so special, and we think the answers are pretty interesting. Feel free to chime in on the conversation; we love to hear from you! The official definition of raw honey is a little loose. Basically, raw refers to the fact that it hasn't been heated to the point of pasteurization. To understand what that really means, it’s important to first recognize what happens inside a beehive. When honeybees are at work, their collective body temperature rises and consequently warms their work area and the surrounding honey. The temperature of an active hive is about 95ºF and the enzymes in honey that give it the nutritional and beneficial qualities are alive. As long as the temperature of honey does not considerably rise past 95ºF, the honey is considered raw. When honey is harvested from the comb by a separator, it leaves behind the large portions of beeswax. When the mainly-honey substance is strained, little bits of beeswax are further removed. 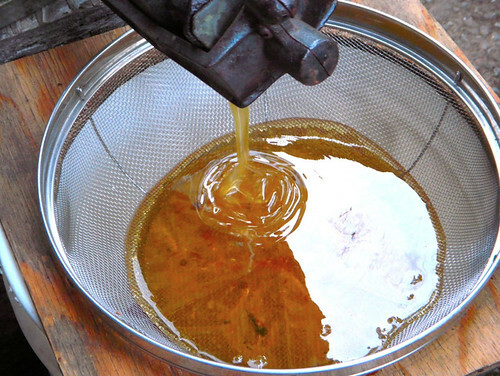 This process is called straining, and the result is called “pure honey”. It is clear and golden liquid that will be bottled and labeled “raw honey”. 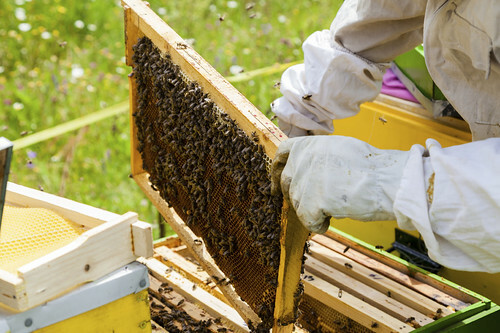 Filtering, on the other hand, removes significantly smaller particles, namely pollen, and the honey is that much further removed from its raw status. We take pride in the raw and delicious honey that we offer and hope you enjoy knowing a little bit more about why its so special. 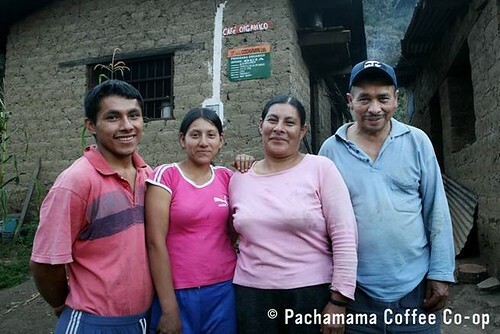 Based in California, The Pachamama Coffee Cooperative of Small-Scale Coffee Producers is a unique global cooperative that is wholly-owned and controlled by small-scale coffee farmers around the world. The member-cooperatives represent tens of thousands of families in Peru, Nicaragua, Guatemala, Mexico and Ethiopia. 100% of profit are paid to the farmer-owners, whose best organic coffee is roasted in small batches in California. 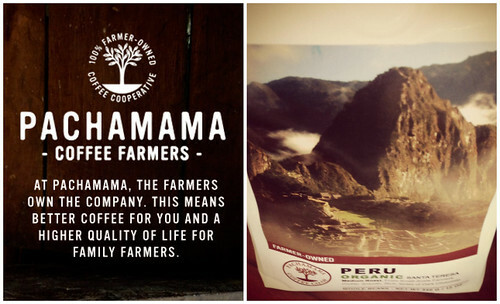 For the month of April, we are featuring this Single-origin coffee from Santa Teresa, Peru. 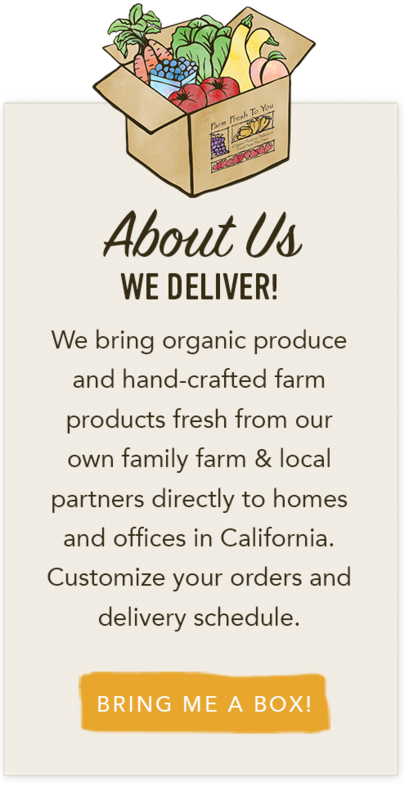 It is available to Farm Fresh To You customers for purchase through our Customization feature. This smooth, medium roast coffee is rich with notes of dark chocolate. It’s mild acidity makes it extremely versatile, in a drip cup, or even as an espresso. Timeteo Alguilar along with his wife, son and daughter-in-law grow and process their coffee on their farm in the shadow of Macchu Picchu.